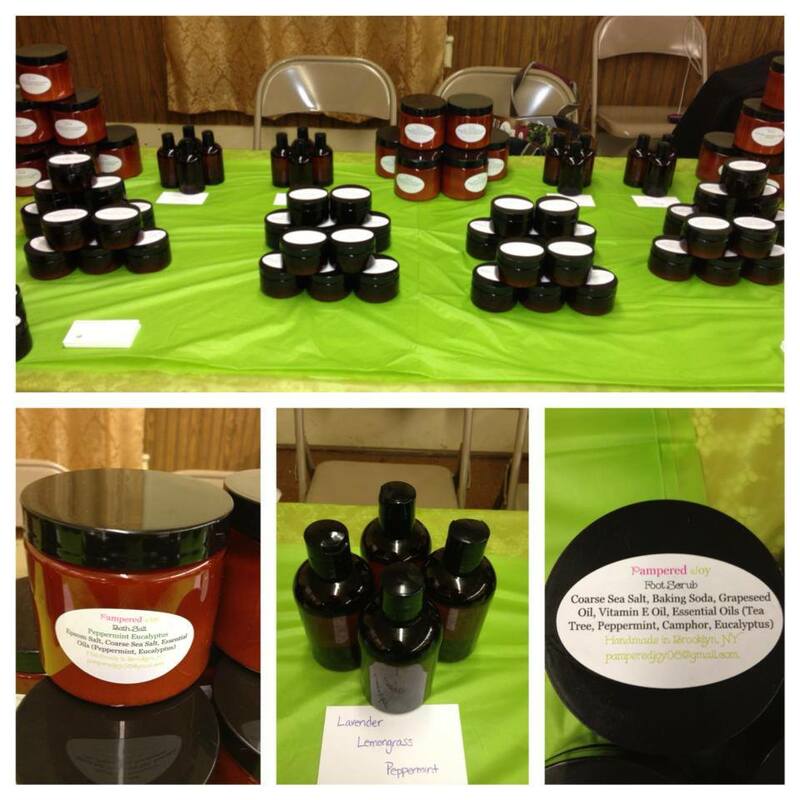 Her products include handmade whipped body and hair butters, foot and body sugar srubs, body massage oils and bath salts in a variety of exotic scents, such as Lavender with Lemongrass, Fresh Mango, Peppermint with Eucalyptus, Coconut Litsea and Vanilla with Sandalwood and Frankincense. 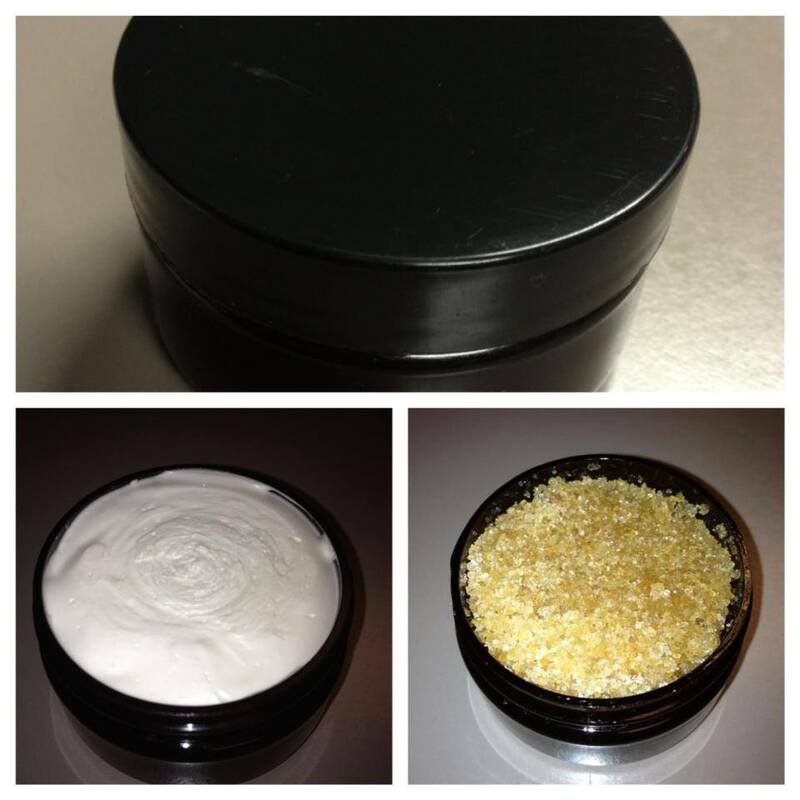 Pictured below are her whipped body butter and sugar scrub. I finally got to purchase two of her products, the Whipped Shea Butter and Body Sugar Scrub, both in Coconut Lavender. I have used whipped shea butter in the past, but never of this kind of consistency. Imagine a product just slightly denser than whipped cream, and a tad lighter than fluffy cake frosting. This body butter is MAGIC! The scent is just strong enough without being overpowering, and the consistency is to die for! I use it SPARINGLY – as if it were a pot of gold that I want to keep forever. By the way, her prices are very reasonable; each jar was only $10. The essential oils added to the butter leave a nice sheen that melts onto your skin, leaving a dewy, not greasy glow. And the scent…my my my!!! I usually use sugar scrubs sparingly, but this one is SO natural, I think it’s just sugar and essential oil! It’s gentle enough to use daily. It does a wonderful job exfoliating the skin, using natural abrasion and leaving your skin feeling smooth and not stripped. Again, the essential oils provide the luscious scent as well as lock in moisture. I wish Felicia much success in her venture. 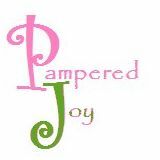 Pampered Joy will continue to grow and thrive as it continues to provide natural products made not just by hand, but with love!